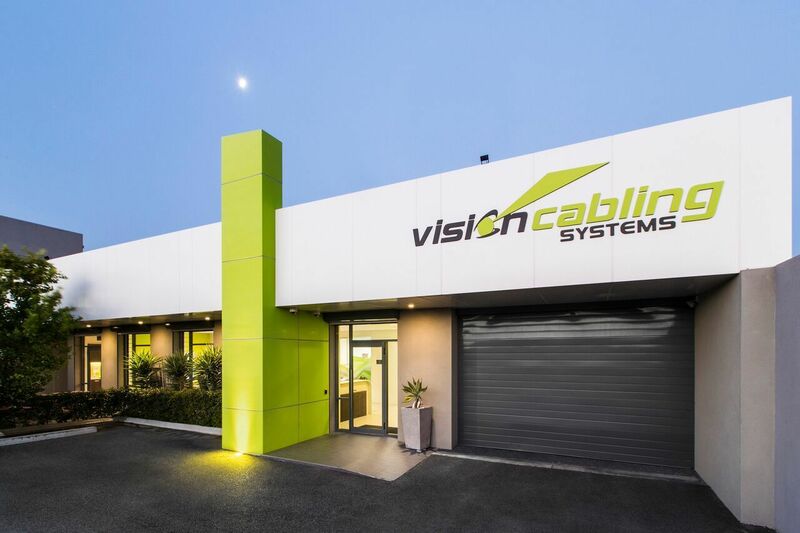 Vision Cabling Systems is based at 74 Albert Street in Osborne Park in a 1000sqm building inclusive of offices and warehouse. This premise has been completely fitted out to suit out business operations. Our premises are complete with private offices, meeting rooms, manned reception, workstations, testing area, training rooms and warehouse storage. Each tradesman is equipped with Communications devices (mobile phones) PDA’s etc, where necessary). We operate our own exchange server our data network with daily off-site backups. We have remote access and our Work Management System is hosted online for access from any internet enabled location. All our vehicles have custom fit-outs within and are fully stocked for service and project requirements. Office staff are available from 8am till 5pm weekdays for any inquiries and our field staff are on the job from 7am or earlier at request. For more information, contact us to see how we can provide solutions for your electrical requirements. Vision Cabling Systems is a West Australian owned and operated company with over 40 years combined experience in data and electrical work, working with a range of commercial and industrial businesses.